Volunteer for the Visayans, Inc. (VFV) Through its Dumpsite Project, a project created to combat child-labor inside the dumpsite has been in partnership with the Northern Tacloban City National High School (NTCNHS) in making sure that all the children rescued from the harshness of the dumpsite be given an education and support they need. 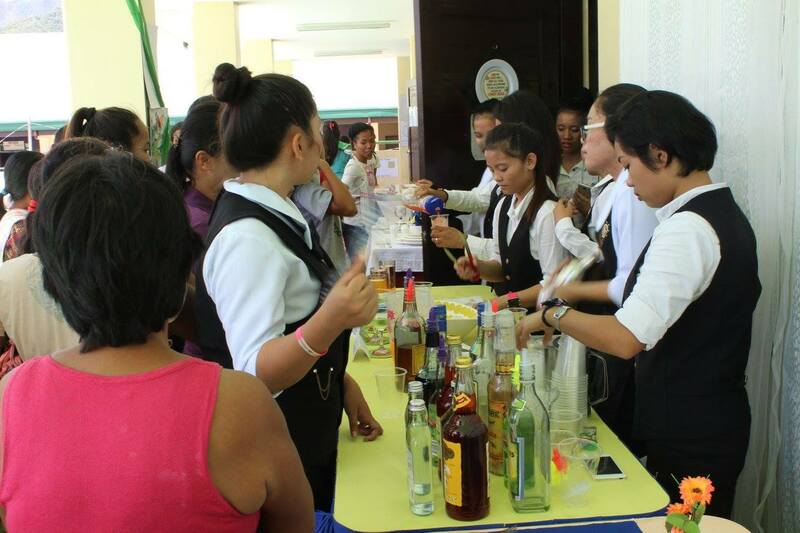 Last September 2, 2017, the Junior & Senior high students of NTCNHS showcased their output in their respective strands, the said event was called “Portfolio day”. The event likewise became a venue for the teachers, parents and the students to create a better and stronger relationship so that each could contribute in making an environment conducive for learning and growth of every student at NTCNHS. VFV and other stakeholders were present that day and gave out messages of support to motivate students and the school as a whole that the journey in creating a better future through education that together we can make a difference. On the said day, the teachers met with the parents of all the students and gave updates and status to each student under their advisory class. Students were closely evaluated and were given encouragement suitable for their preferred strand. Hopefully this activity will give the parents a glimpse of what their children could become when properly supported. To Northern Tacloban City National High School teachers and non-teaching personnel, congratulations for a job well done.